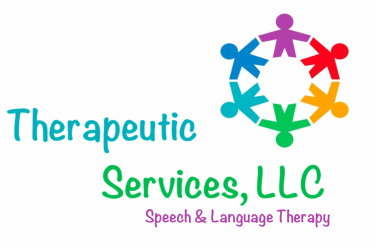 Mali DeSantis, M.A., CCC-SLP is the owner of Therapeutic Services LLC. Mali received her Bachelor’s Degree in journalism at Rutgers University. Transitioning from television journalism, Mali’s desire to enter into a helping field brought her to Kean University where she received a Master’s Degree in Speech Language Pathology. She is an experienced clinician who has worked in a variety of settings including private practice, schools, homes, and hospital. Her clinical interests and specializations are in the treatment of children with Autism, Augmentative Alternative Communication (AAC), and the facilitation of Social Skills. Mali is licensed by the State of New Jersey and is certified as a Speech Pathologist by the American Speech-Language-Hearing Association (ASHA). In order to stay up-to-date and be on the cutting edge of her profession, she attends various continuing education classes including PROMPT, Apraxia Treatment Techniques, Social Thinking, Speech-EZ, Oral Placement Therapy (OPT), Sensory Integration, NeuroNet Learning, DIR/Floortime, Integrating ABA (Applied Behavior Analysis), and Assistive Technology.